WHAT: Denver Restaurant Week begins Fri., Feb. 20 and select Cherry Creek North restaurants will offer heart healthy menu options for diners. Denver Restaurant Week participating restaurants will offer a multi-­-course dinner for just $30. Reservations now accepted. I Heart Fridays is a month-­-long celebration of heart-­-healthy activities in Cherry Creek North every Friday during the month of February in partnership with the Denver American Heart Association. Whole Foods Market Cherry Creek North will host a free Heart Healthy Cooking Class 6:30-­- 8:00pm on Feb. 26th. Free Wine Tastings on Fridays 2-­-6pm at the Vineyard (261 Fillmore St.) in Cherry Creek North. Red wine is heart healthy! WHY: In this second year partnership, Cherry Creek North partners with Denver’s American Heart Association to help create awareness around the important cause of heart disease. One in 3 women die from heart disease and stroke. 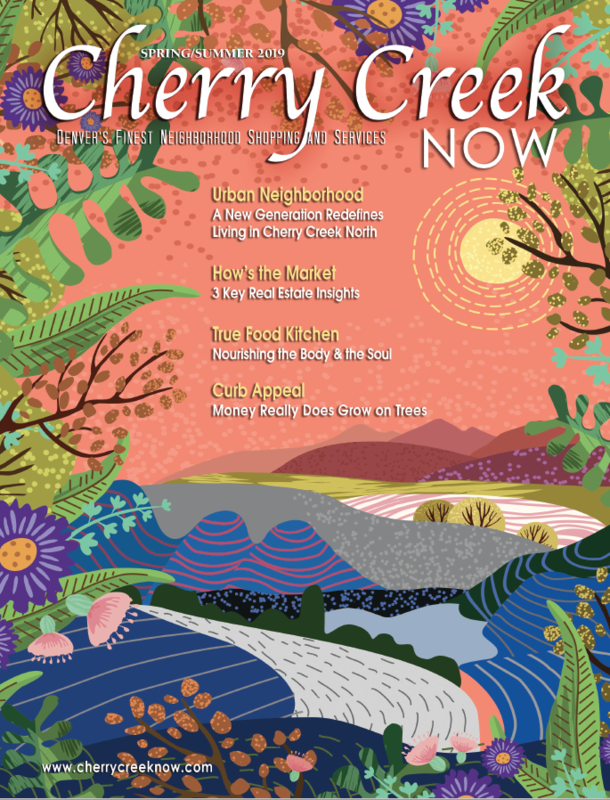 Denver’s premier shopping & dining district, Cherry Creek North, hopes to inspire women to take action now to reduce the risk of heart disease and improve their health. Visitors can refine their healthy shopping and cooking skills with Whole Foods Market Chef, Charlotte, as she highlights the best foods to eat to keep your heart strong and demo how to cook some of her favorite recipes like Baked Salmon with Lemon and Parsley and Flaxseed and Oatmeal Crumble. Samples provided and recipes to take home. Class is free and open to the public. RSVP required: 720-­-941-­-4100. Dining out doesn’t have to ruin a heart healthy diet. Offerings like Ratatouille from Crepes ‘N Crepes, Heirloom Beet Salad from NoRTH Italia, and Grilled Salmon from The Weber are examples of some Denver Restaurant Week menu items that are indulgent and healthy. There is even dessert (think Pomegranate Yuzu Sorbet from True Foods Kitchen)!